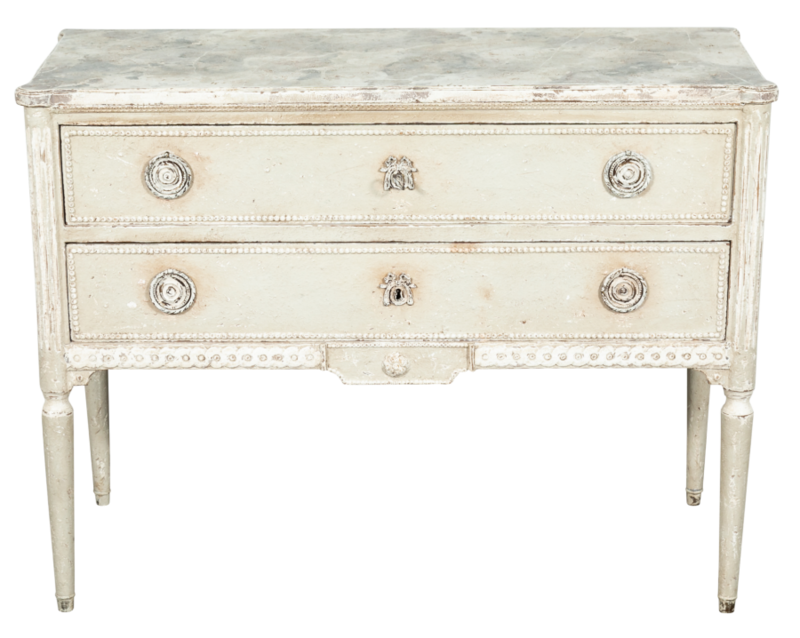 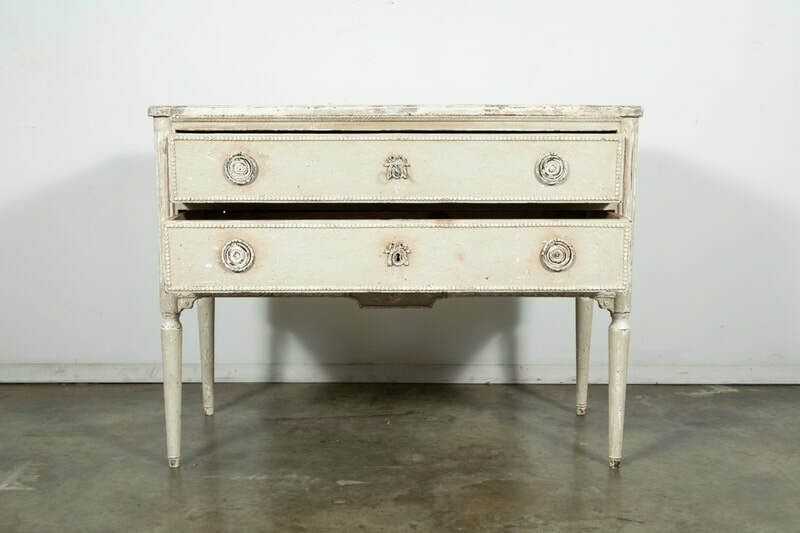 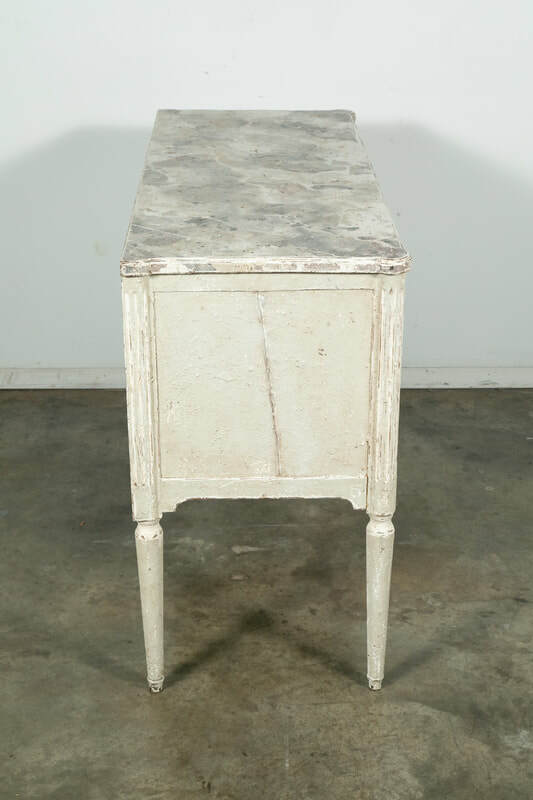 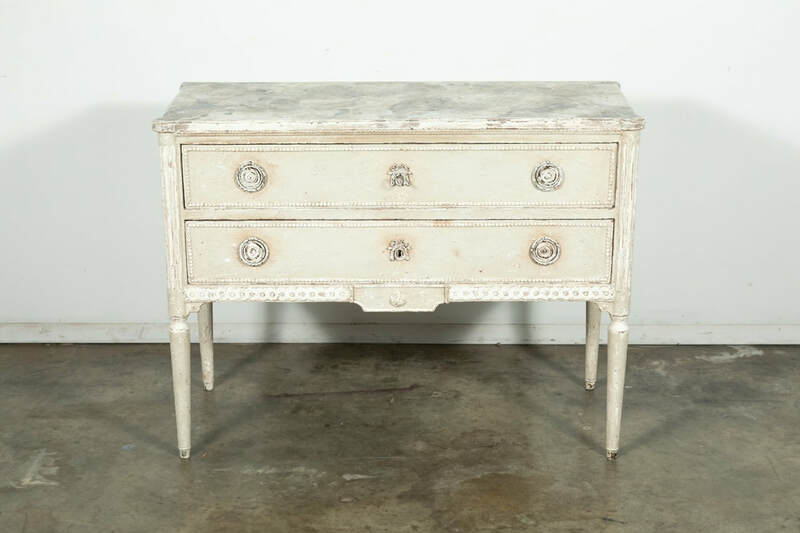 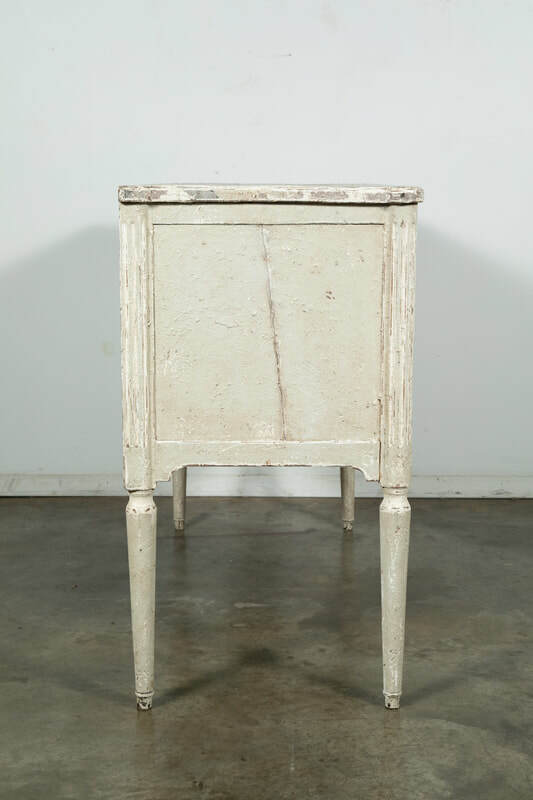 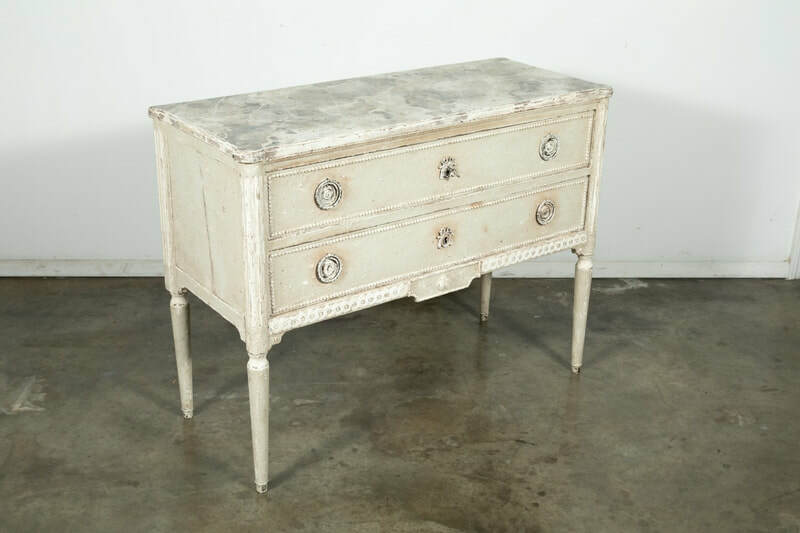 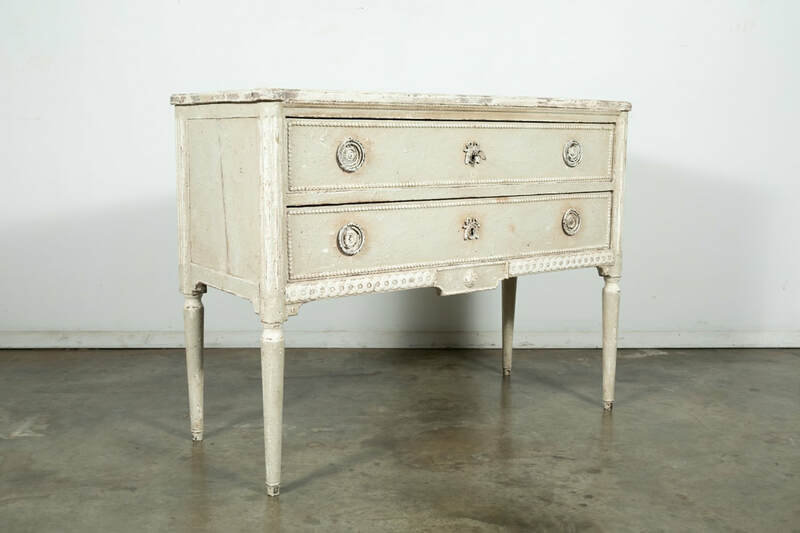 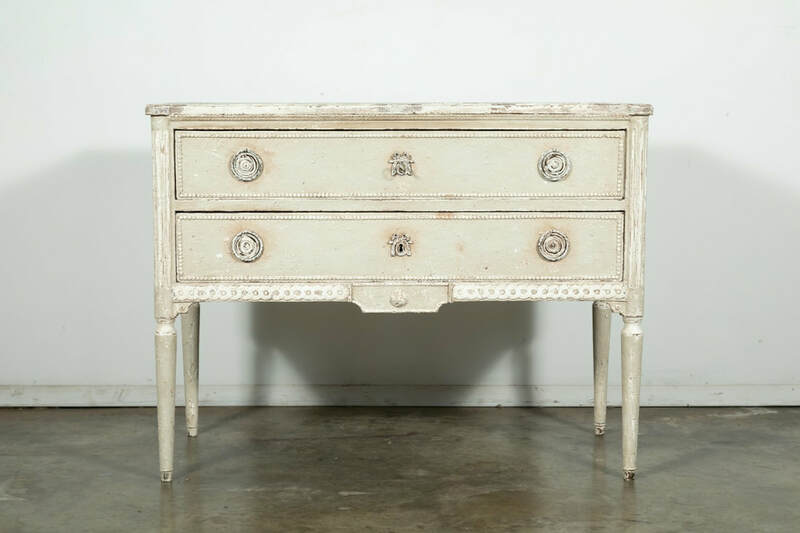 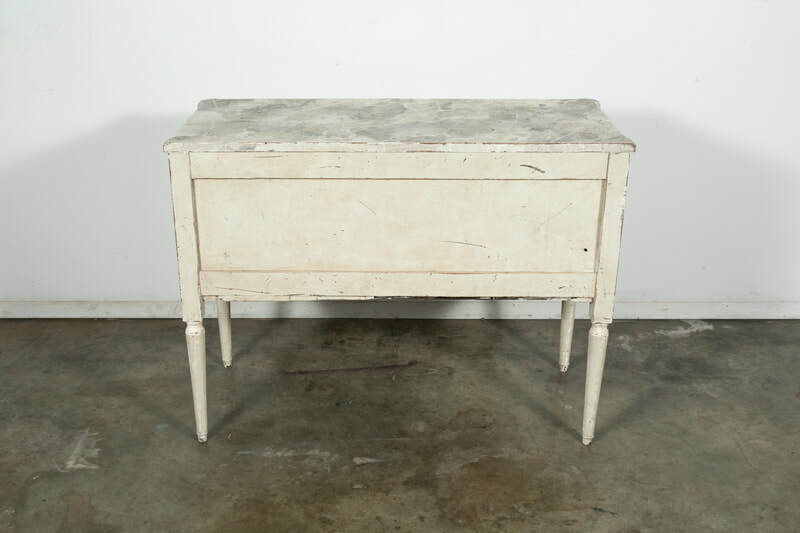 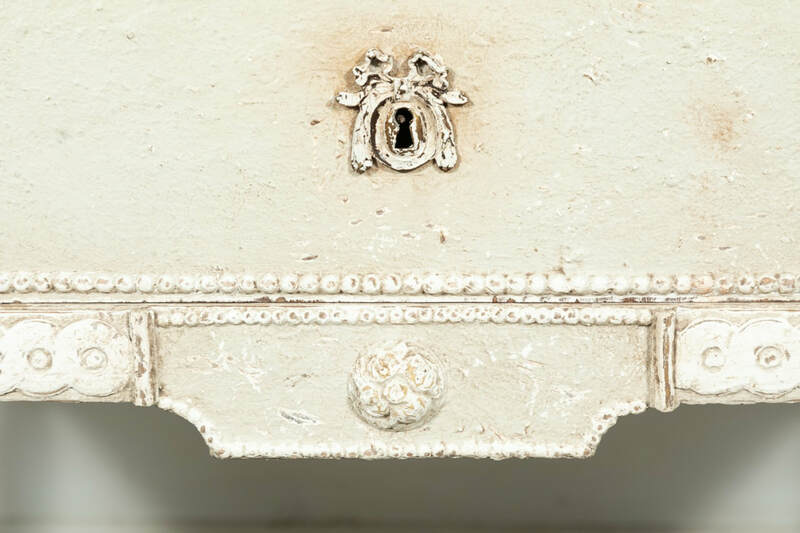 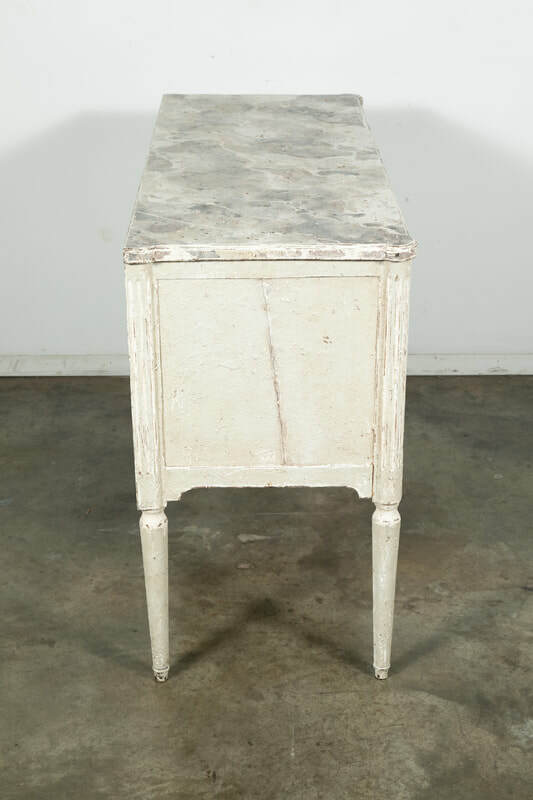 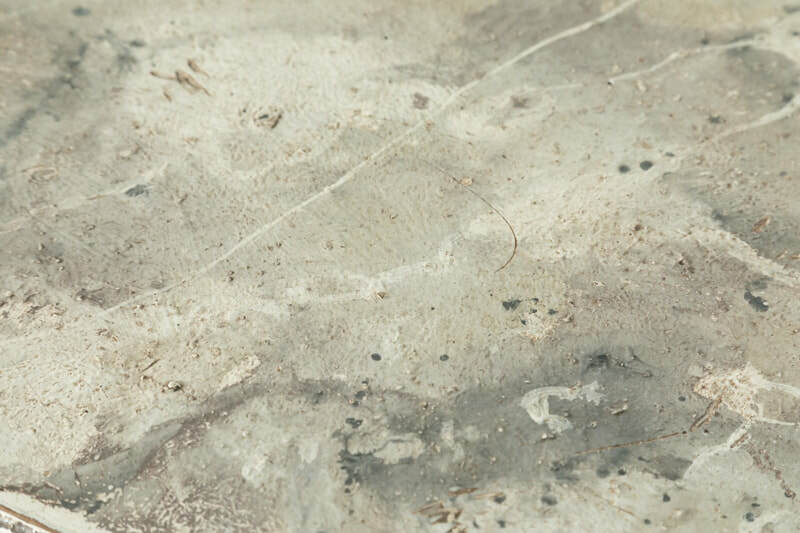 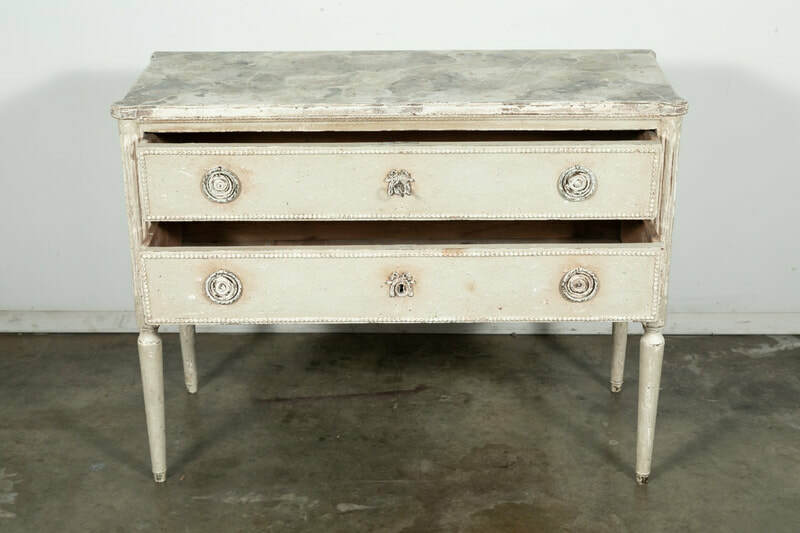 19th century French Louis XVI style two drawer commode having a beautifully distressed painted finish with a faux marble top. 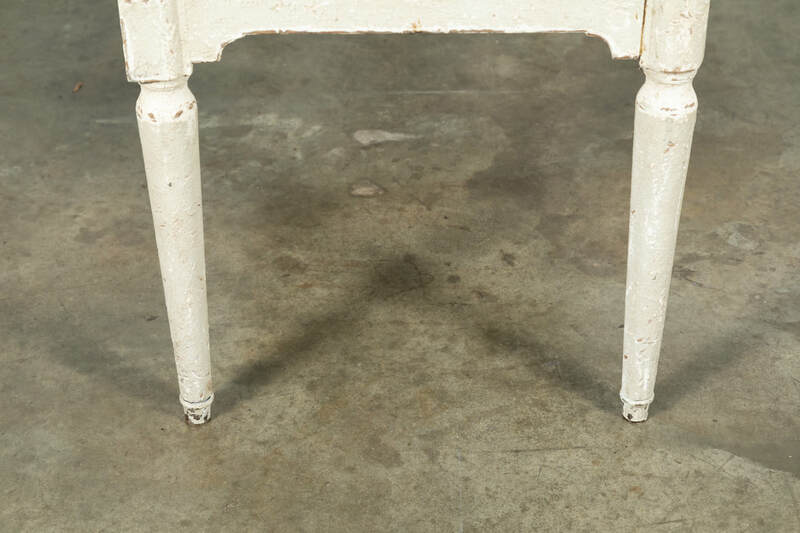 Supported on curved and fluted stiles sitting on toupie legs. 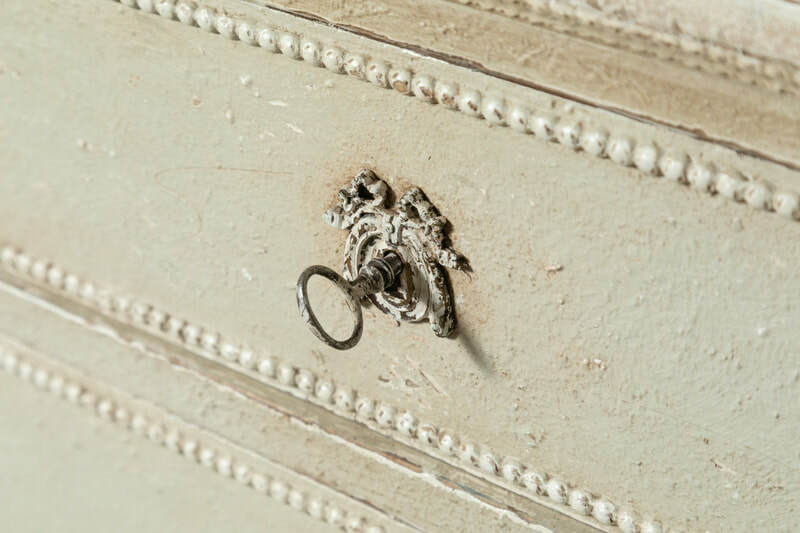 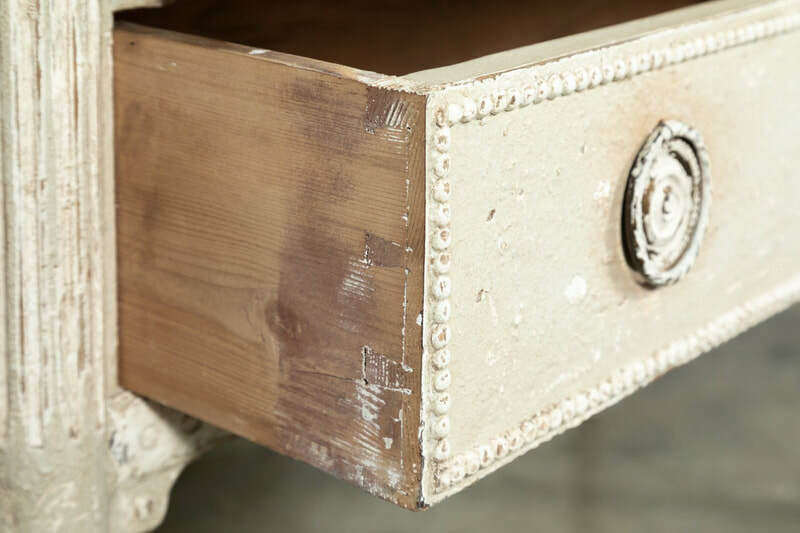 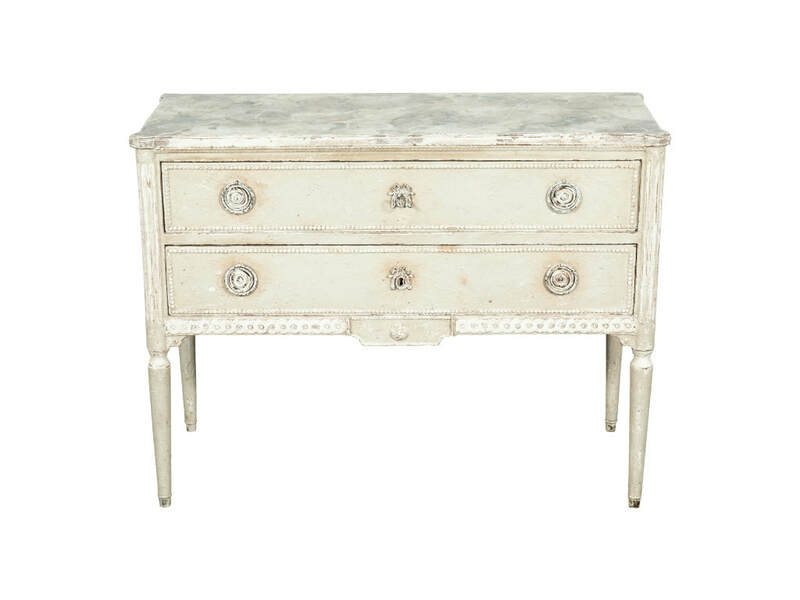 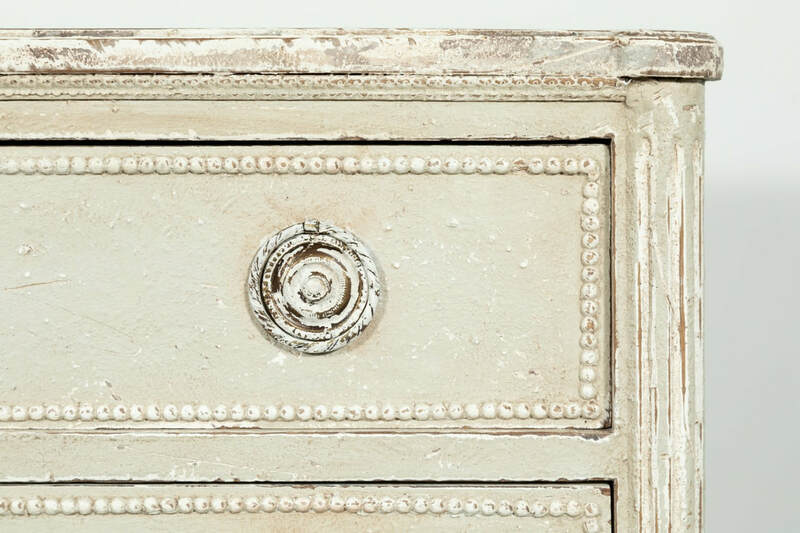 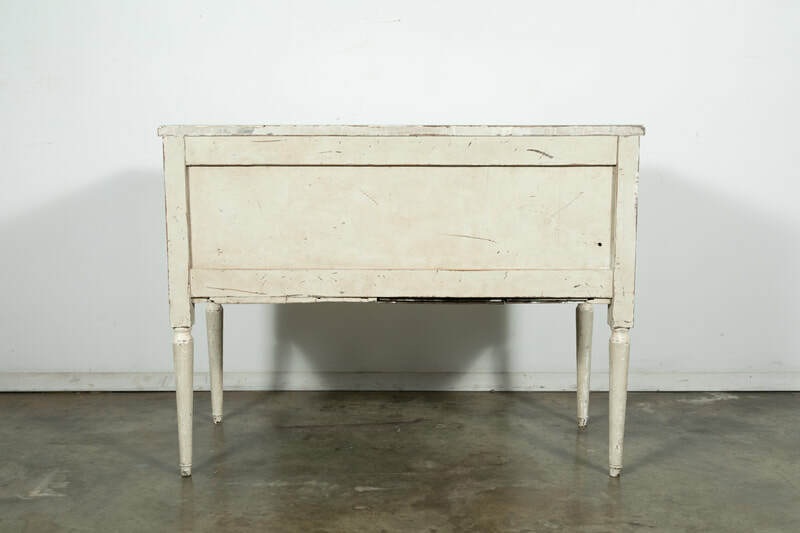 The narrow depth of this lovely chest makes it perfect as a bedside chest or end table. 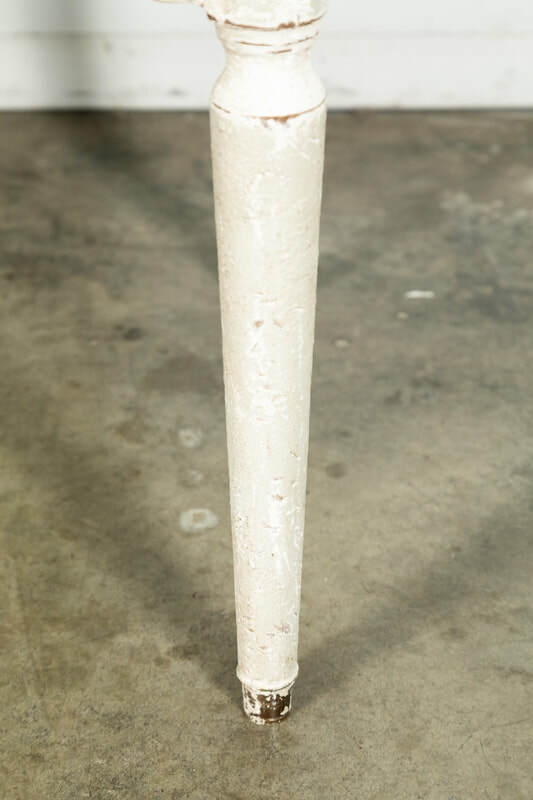 Finished on all four sides, it can also float in a room.